Progress of a carport being built. 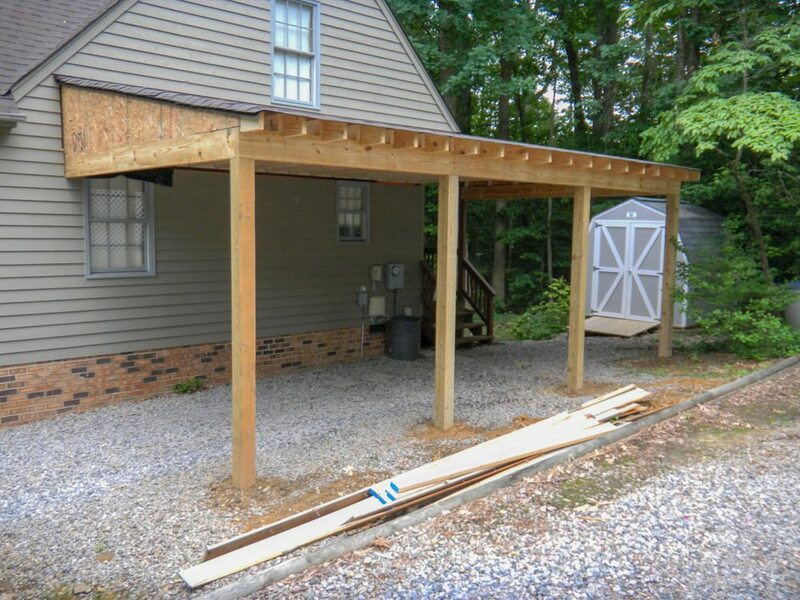 Carport being built in Chesterfield, Virginia. Stick build attached 14 x 24 carport will have cedar siding, dimensional shingles, concrete slab, seamless gutters and an electrical package that includes motion lights for security. Why choose RMB Remodels to build your carport? We do not use prefabricated carport kits. Contact us for more information on this or any other project. 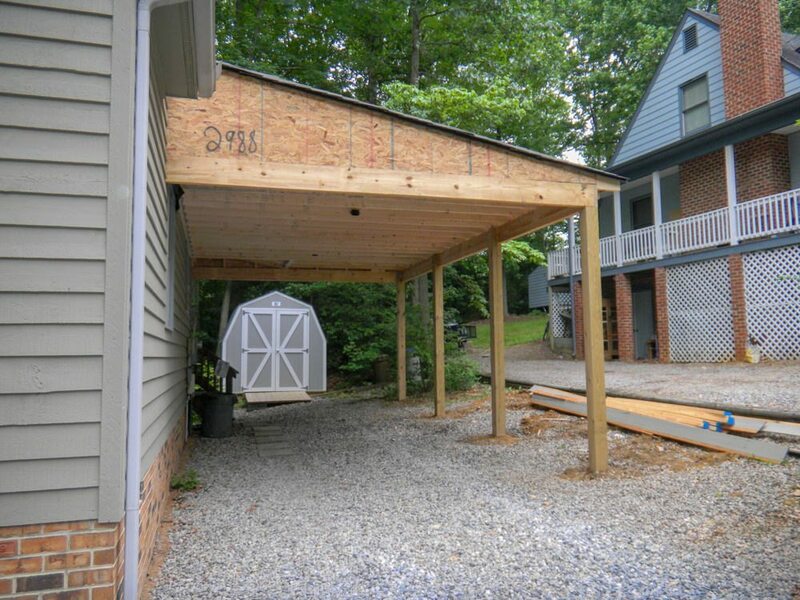 Our carports are designed to match your home and are custom built on site.